One of the biggest changes I’ve made to my habits lately is cooking more seasonally. Eating strawberries in December doesn’t actually taste good and it doesn’t do the environment any good. Instead, isn’t it much nicer to enjoy foods right when they are in season here at home? Even better, get them fresh from the farmers market? I must admit, I’m not perfect at eating only seasonal food. I jump at the first raspberries in March and quite enjoy eating tomatoes all year round (I know). Still, it’s not about being perfect, so here are a few habits I have adopted and my favourite cookbooks to help me with it. Instead of thinking about all the fruit and veg you can’t eat, dream about new dishes for each season. Think about that berry compote with ice cream in summer, fresh apple tart on a crisp autumn day or a hearty stew in winter. This way, you can concentrate on all the great new stuff you get to eat soon and actually get excited about it. Eating that first orange in winter when it gets cold outside tastes so much better than just eating it all year round. Just google „What’s in season“ and you will find tons of them. Make sure you take one that’s for your region/country and your set for the next month! After looking at the calendar, find some recipes you can try with your new seasonal goodies. This way, you can truly enjoy the season, try something new and have a great new repertoire of seasonal recipes. I love to sit down with my cookbooks at the beginning of the month and bookmark new favourites. It’s such a cosy tradition and really makes me appreciate the seasons even more. There’s also a few great cookbooks out there that actually embrace the idea of seasonal cooking. These are two of my favourites, that I like to turn to at the beginning of each season. Do you have any tips? If you’re into healthy eating and blog reading, you’ve probably heard about My New Roots before. If you haven’t: It’s a really great blog on healthy eating. I have tried a few of her blog recipes over the years and they all turned out great. That’s why I was really excited about her cookbook coming out! What can I say, it’s just as beautiful as her blog. I have made her corn and carrot salad multiple times this summer and I’m really looking forward to the autumn recipes now. 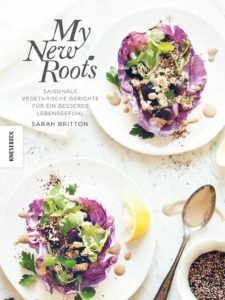 Most importantly: Sarah uses a lot of different/special ingredients, so this book really helps me out of cooking/eating ruts. If you’re into healthy eating and like her blog, give her cookbook a go – it’s beautiful. This cookbook is worth mentioning simply because it is such a joy flicking through it. 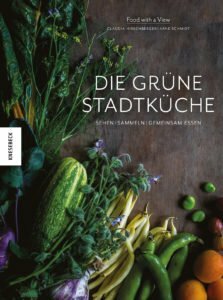 The authors don’t simply share their favourite recipes, they take us on trip to go apricot picking or to their local farmers market. If you’re a foodie, you will enjoy this book simply because of the stories in there. Furthermore, it is rich in recipes with ingredients that are slowly coming out of style – old vegetables my grandma cooks with but that can’t really be found at the local supermarket anymore. 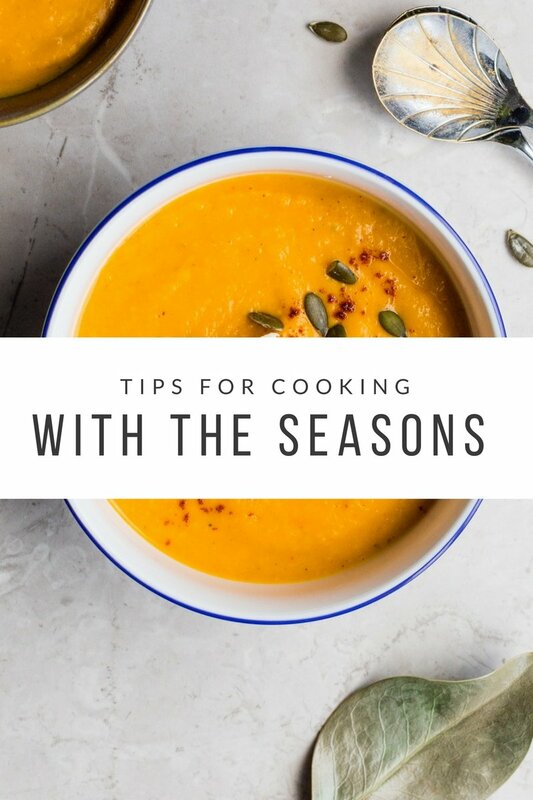 I have resolved to try at least one of these special ingredients each season, find out what it taste likes and if it needs to make a comeback into my kitchen. In autumn, I’m really looking forward to a thai curry with hokkaido that sounds just delightful. Pumpkin season is coming soon! These are my tips and favourites for seasonal cooking. Do you have any? And what are you most looking forward to this autumn? For me it’s definitely fresh apple tart along with the first pumpkin soup of the year.